Welcome Bonuses Free Bingo Games Best Bingo Bonuses Current Promotions! MyBingoBonus – the name says it all! We are all about bingo bonuses because Bingo is our game. Right here on this page you will find our Top 10 Bingo Sites. 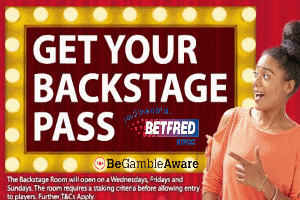 Every page you visit will reveal the best & exclusive bingo bonuses! Tipp – Our promotions are updated daily and ready to go. 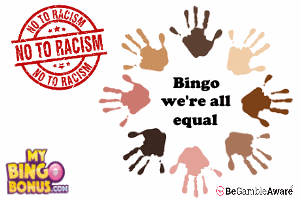 Are you interested in all of the registered Bingo Sites. Here is a list of all the Bingo Sites registered at MyBingoBonus: Show me the way! What else will you find at MyBingoBonus.com? Promotions, News, Reviews & Info – Visit the Promotions Page for the latest promotion. For updates go to the News Page. Read in depth analysis on our Bingo Site Review page. there you will find useful info on deposit & withdrawal options, etc. Read about bonuses & game types! Learn how to set-up an account & how to play. We have started to video the registration process and how to get started. Have a look and tell us if you find it easy to follow. We hope you will find it helpful! The fabulous BGO Casino 100k Spins Drop is back for an Easter Special and playing for the rest of April. There’s a cool 100,000 Free Spins in prizes to give away every day on selected games, and it couldn’t be easier for you to win. 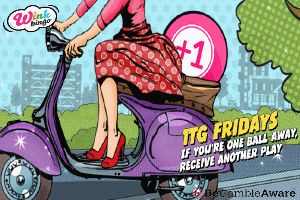 Simply join in and play BGO’s Game of the Day between 7 – 10pm, so check the games board before playing. You need to be registered at BGO Casino or Bingo to take part in this mega Spins promotion. T&C’s apply. There’s more to dropping the pot in Wink Bingo’s 75 Ball Bingo than just cash, welcome to the brilliant 1,000,000 Wink Reward games. 33,500 Wink points to be won daily, with a massive 1,000,000 Wink Rewards to give away every month. Game plays at 12pm, 4pm, 6pm, 8pm and 10pm daily. Spend your winnings in Wink’s Shop on bonuses, vouchers to your fave shops and more. Withdrawal restrictions full T&C’s apply. 18+ players only. Points redeemable at Wink Store and selected suppliers. Promotion open to UK players. Read T&C’s before depositing. When the fun stops, walk away. There are tools and help available if you feel the need to slow your online gambling down. 18+ players only. Wagering requirements apply. Always read T&C’s before depositing. All promotions are subject to individual T&C’s. The age restriction is 18+ without exception. Welcome Bonuses refer to “New players” unless specified. Wagering requirements apply to “all” bonuses unless specified.